Toasted Coconut Caramel Popcorn is an easy no-bake recipe that is super addicting! 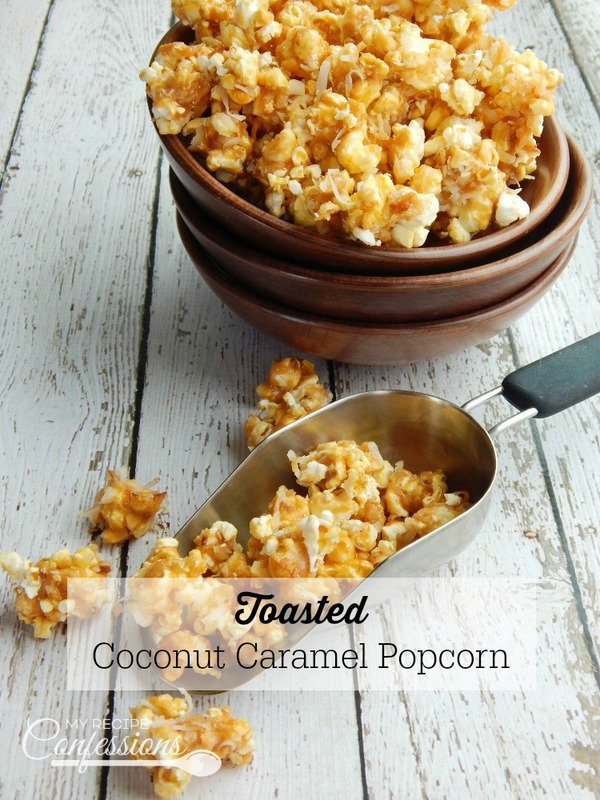 I love that it’s not a sticky caramel popcorn, and the toasted coconut is absolutely heavenly! The caramel in this popcorn isn’t sticky, which means the kid’s hands don’t get as messy. This popcorn makes a delicious treat for a party, or wrap it up in a cute bag for the perfect gift for a friend or teacher. Last month I went to St.George with my daughter. She was dancing in a dance competition. In true girl fashion, in our free time we did a little shopping. At one of the stores we stopped at, I spotted a bag of Toasted Coconut Caramel Popcorn. I love coconut! I bought a bag and was hooked after just one bite. When I went home, I started playing in the kitchen in hopes of replicating the popcorn. 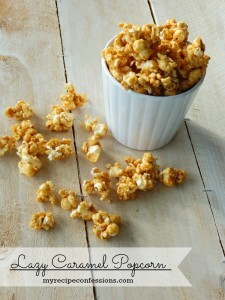 This recipe is my version of the Toasted Coconut Caramel Popcorn. It’s super addicting, in fact my family and I finished off the bowl within a few minutes. 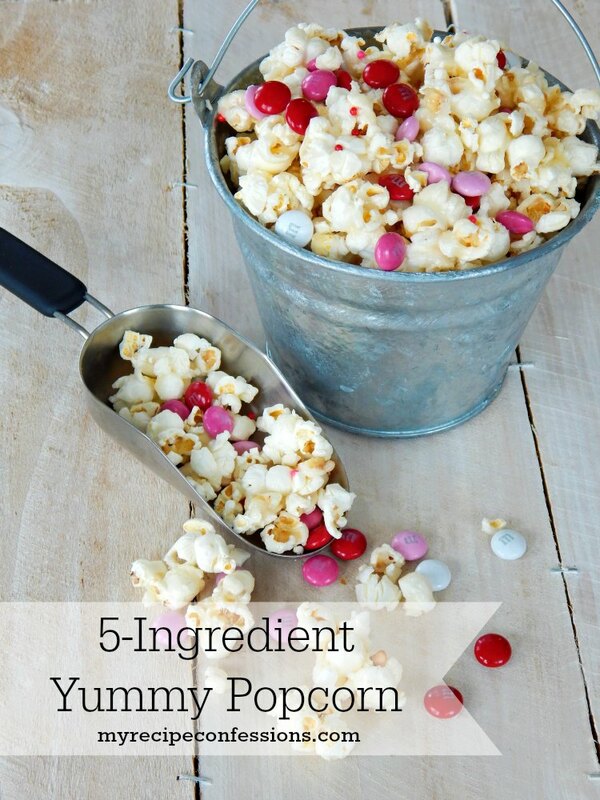 To make this popcorn you can use microwave popcorn. I don’t like the flavor of microwave popcorn, so I use my air popper. When you use the hot air popper you don’t have all the added preservatives that microwave popcorn has in it. I have one similar to this hot air popper on Amazon. 1. Remove all the unpopped kernels from the popcorn and divide the popcorn into two large bowls. In a medium-sized sauce pan, heat the brown sugar, butter, corn syrup, and salt over medium heat. Stirring occasionally, bring the caramel to a simmer. 2. Let the caramel simmer for 5 minutes without stirring it. After five minutes, remove the caramel from the heat and mix in the baking soda and coconut extract. It will start to foam, don’t worry this is normal. 3. Working quickly, fold the popcorn into the caramel making sure that all the popcorn gets coated evenly. While the caramel is still hot, evenly sprinkle the toasted coconut over the popcorn. 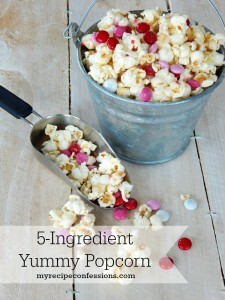 Pour the caramel popcorn onto a sheet of wax paper and carefully break up the large pieces. Allow it to cool completely. Store in an air tight container. Here are a few other recipes that you might enjoy. Toasted Coconut Caramel Popcorn is an easy no-bake recipe that is super addicting! I love that it’s not a sticky caramel popcorn, and the toasted coconut is absolutely heavenly! 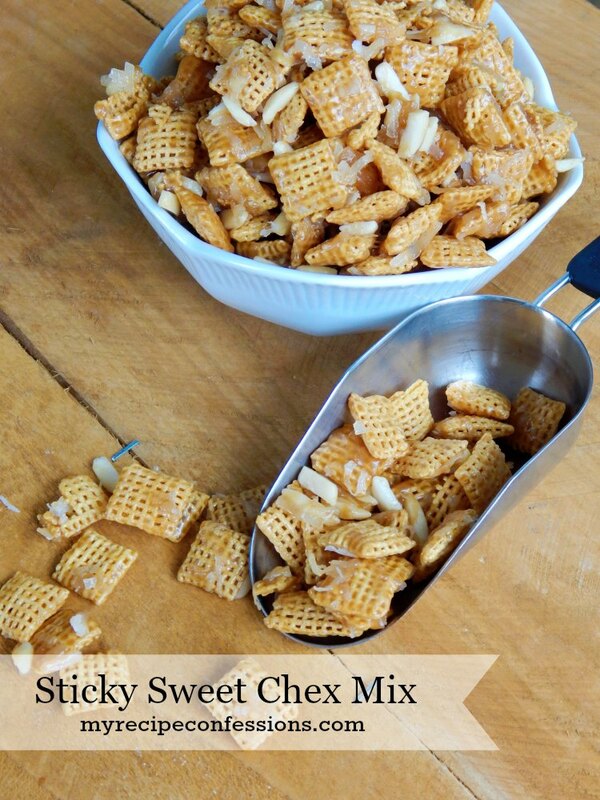 It makes a delicious treat for a party or just an afternoon snack.